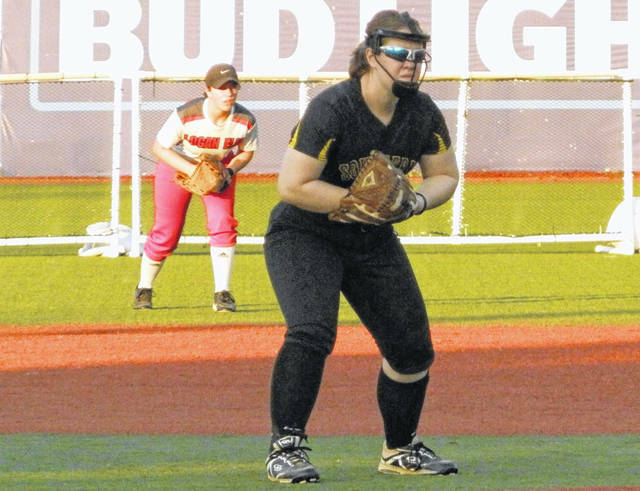 Recent graduate Paige VanMeter represented Southern one final time on Monday during the 11th Annual Fastpitch Softball All-Star game being held at VA Memorial Stadium in Chillicothe. VanMeter — a four-year starter with the Lady Tornadoes’ program and soon-to-be Ohio University-Chillicothe Hilltopper — was the Ohio Valley Publishing area’s lone participant in the event. VanMeter helped guide the North All-Stars to a 9-8 victory over the South. The event featured two games showcasing area high school and Ohio Regional Campus Conference players, as well as a home run derby competition. VanMeter also played in the college all-star contest, providing a home run in a 9-1 victory. She is slated to play third base and catcher for the Hilltoppers next season.